JUST in case you missed them, here are some of the positive stories that have featured in The Observer in the past week. GLADSTONE Multicultural Association welcomed in the Chinese New Year with a small gathering at the marina on Sunday from 10am to 3pm. People from different backgrounds came to celebrate the day, which featured Chinese-inspired music and decorations. 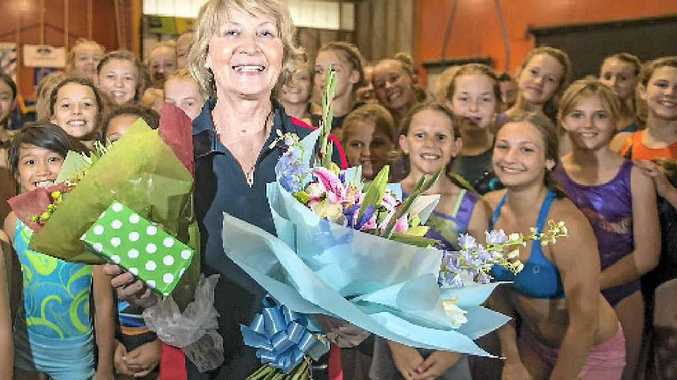 GLADSTONE Gymnastics Club founding member Anna Turetschek has poured her heart and soul into developing the organisation into one of the town's premier sporting clubs. It is accepted as common knowledge that without Mrs Turetschek, who celebrated her 70th birthday last week, the club would not exist. IT was a night of glitz and glamour at Gladstone State High School on Friday as Sam Thompson wowed his audience with strong vocals and exuberant stage presence. The show, Up in Lights - A Night of Song, Drama and Drag featured Sam and a number of supporting acts taking the stage in various costumes and characters. MICK Daly is an honest bloke, upfront and easy going, driven by respect. When he sees a problem, he will acknowledge it, make it plain to see, and then go about finding a solution. A no-nonsense boxing coach, he gets straight into his work with no time to waste and expects the best effort from everyone around him. WALKING through the doors of the police academy at 18, Inspector Darren Somerville found his life calling at a young age and has never looked back. This year, he celebrates a milestone - 30 years of continuous service. 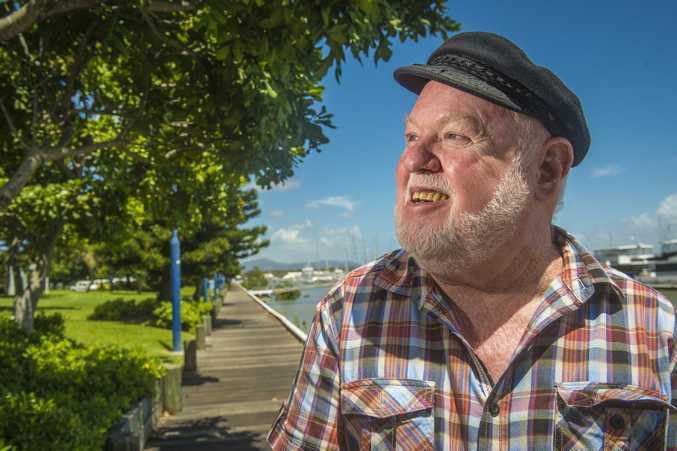 THERE won't be any more sleepless nights for Mike Lutze, who on Monday started his first day of retirement after serving as Gladstone Harbour Master for 23 years and having enjoyed a maritime career spanning half a century. Mr Lutze oversaw a rapid expansion of port facilities between 1991 and 2014 with more coal export facilities and the construction of LNG facilities on Curtis Island ramping up ship movements in the harbor to 33,000 per month. THE Gladstone City Library is using new and innovative technologies to make library visits easier and faster. By February 14, which is national Library Lovers Day, the Gladstone Library will have a self-service system in place for hiring books. THE second store in the Stockland Gladstone East Mall expansion is set to open on Saturday. Yogurtland will host a day of family fun with free frozen yoghurt, a photo booth, balloon artist and the chance to win a month's supply of frozen yoghurt. ALTHOUGH Elisa Detrez will step down from the enviable position of Best Job in the World this week, she will forever remain an ambassador for the Sunshine State. Miss Detrez spoke to The Observer on Tuesday describing finishing her role as Queensland Park Ranger as "very strange". 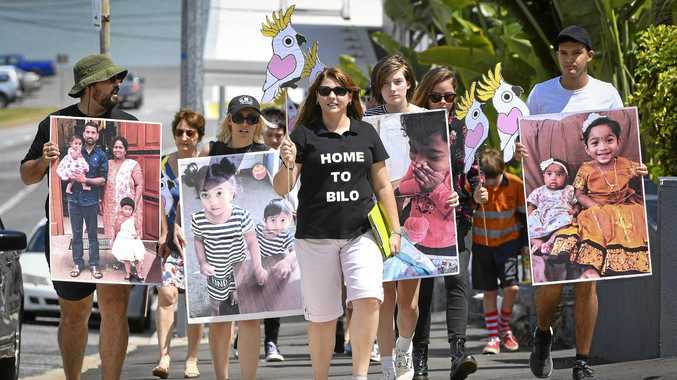 "I will always remember the Gladstone region as a special place," she said. A NUMBER of businesses have been given development approval by Gladstone Regional Council. A new medical centre was among the businesses to receive approval at the council's meeting on Tuesday. FIVE graduate nurses are starting their careers at Gladstone Hospital this week. Acting director of nursing Damien Lawson believes it is an excellent prospect for not only the nurses, but the hospital as well. A POSITIVE approach is behind Rosedale State School's good reputation in the community, according to Principal Kerrie Moore, whose Prep enrolments tripled this year. Fourteen Prep students started class in 2014, compared to four last year. BIRDS Of Tokyo - highly impressed by the Gladstone Entertainment Convention Centre - brought sweet beats to audience's ears last night. After a smooth sound check on Thursday, bass player Ian Berney said the band and crew were in agreement - the sound space and setup was of high quality. THE impact of cancer treatment goes beyond health, affecting both weight and hair loss. T-Leaf Clothing hopes to alleviate the heartache resulting from these impacts by offering a Gladstone woman diagnosed with cancer an afternoon of pampering. BEN and Liam Press are not like most other 12 and 14-year-old boys - they can walk on water. Water skiing since they were each 18 months old, the Gladstone brothers have been learning the barefoot form of the sport for a bit more than 12 months, with quick success driving huge ambitions for the future.